Larry Fink’s manager of $6 trln of assets saw revenue and profit fall in the last quarter from a year earlier. December’s stock rout predictably hit fees, but the shift to cheap ETFs from actively managed funds also accelerated. That’s likely to continue even if markets recover. 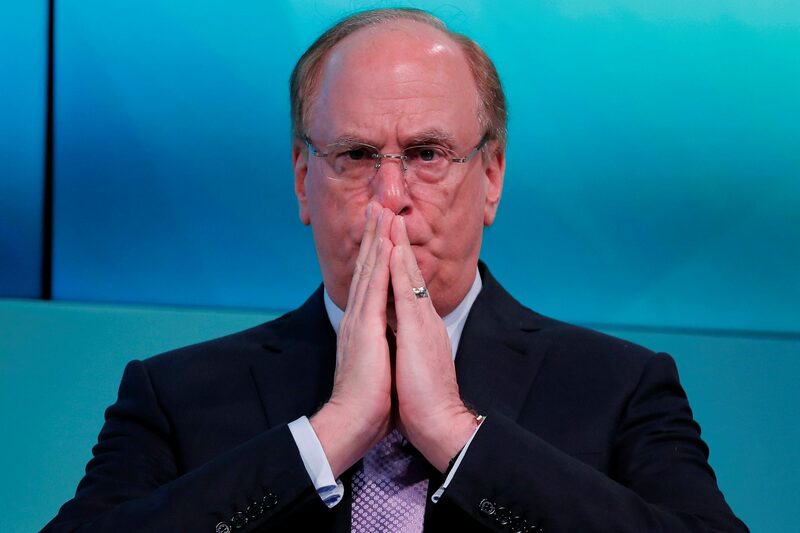 Larry Fink, Chief Executive Officer of BlackRock, takes part in the Yahoo Finance All Markets Summit in New York, U.S., February 8, 2017. BlackRock on Jan. 16 reported earnings attributable to the company of $927 million for the fourth quarter of 2018, or $5.78 per diluted share. Adjusted for non-operating items and one-off tax effects, earnings were $975 million for the period, or $6.08 a share, compared with $1 billion or $6.19 a share in the same period a year earlier. The mean forecast of analysts surveyed by Refinitiv’s I/B/E/S was for adjusted earnings of $6.27 a share. Revenue was $3.4 billion in the latest quarter, down from $3.8 billion a year earlier. Analysts had forecast revenue to be unchanged. Assets under management were $6 trillion at the end of the quarter, down 5 percent from a year earlier.